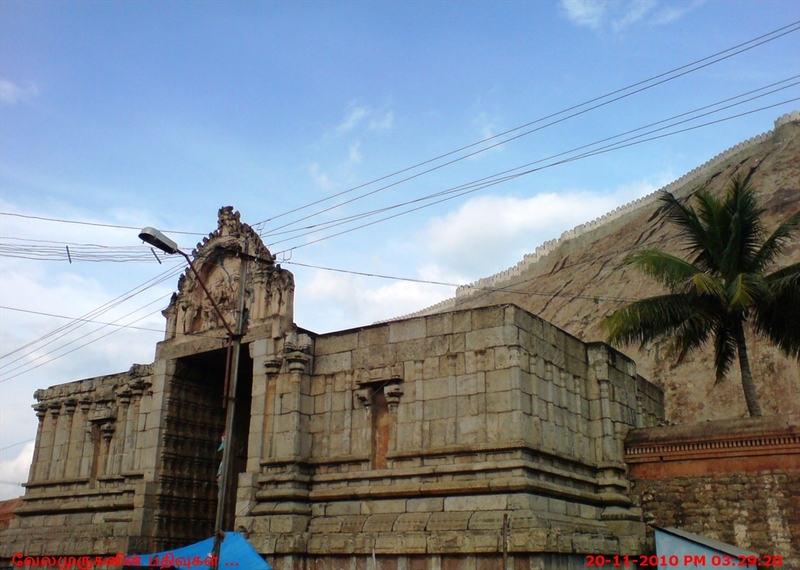 Namakkal - Sri Lakshmi Narasimhar Swamy Temple : Namakkal is also known as Namagiri . It is now becoming a very important centre all over India for egg production, truck building and education,though Namakkal is synonymous with Lord Anjaneya to the people of Tamilnadu. 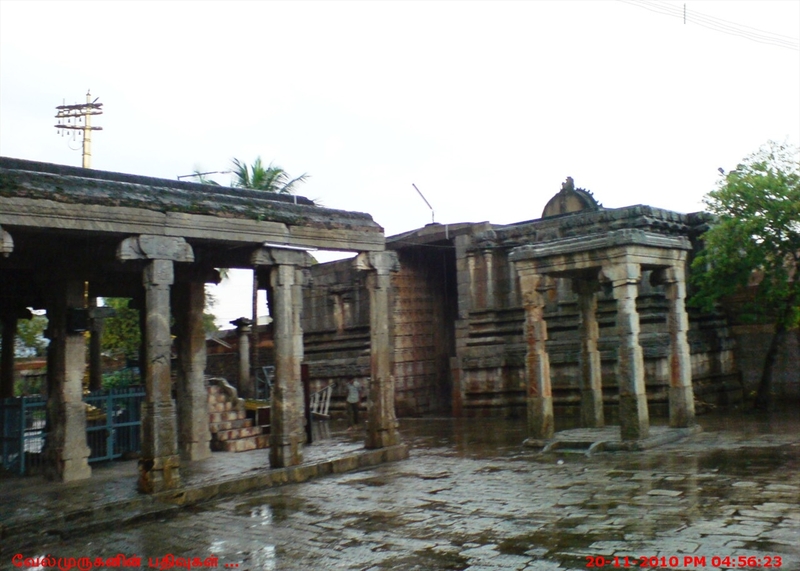 In Krutha Yuga the two gate keepers of Sri Vaikuntam on curse of Rishies were born as cruel Hiranya Brothers, Younger Hiranyaksha was killed by Mahavishnu in the Avatharam of Varaha, for his harmful deeds Sri Boomidevi. The elder Hiranyakasipu concentrated his mind and did serious Thapas for so many years. As a result of his Thapas, he got boons from Brahma Deva, that he will never meet the death by human beings, animals, earth and sky, by any instruments in and out of the houses etc. Then Hiranya, on the Power of the boons, gave much troubles to Rishies and Devas and compelled them to pray them as "HIRANYAYA NAMA" only; and ordered that there is no other god to pray except him. As all were afraid of Hiranya, no Yagas and Deva Poojas were done. Then, worried Devas and Rishies with Brahma, prayed Lord Sri Narayana to get relief from Hiranya. Therefore Sri Mahavishnu, determined to kill Hiranya and blessed them. Hiranya had a son named Prahaladha. He was naturally very pious to Lord Mahavishnu. So he refused to say "Hiranyaya Nama" but he only prayed "OM NAMO NARAYANA" Hiranya tried to change Prahaladha to pray his name insted of Lord Vishnu, in so many ways personally and through Gurns, but it proved in vain Prahaladha never said "Hiranyaya Nama" but he prayed bravely "OM NAMO NARAYANA" with the company of other boys. This created great anger to Hiranya on Prahaladha and determined to kill him. He ordered his soldiers to kill Prahaladha by elephants, cobra, and by giving poison, but all were waste. His Vishnu Bhakthi saved him from these dangers. Hiranya asked Prahaladha with great anger "Who is your God? Where is He and show Him? ", On the belief of God, Prahaladha replied proudly and bravely "Father listen! MAHA VISHNU IS THE ONLY GOD and He is the Omnipresence and eternito-you can't destroy him", He is everywhere in you and me also. Hiranya with great anger, showed a pillar and cried "Is your God in this pillar?" "CERTAINLY" here also replied Prahaladha with belief. As soon as Hiranya heard the words from Prahaladha he kicked the pillar with full of anger. Immediately he heard a great roar and the pillar was flapped into two halves. Lord Sri Narasimha came out from the pillar with roaring, Hiranyakasipu surprised on seeing LORD NARASIMHA and astonished himself as to what from of this creature, no man, no animal, with lion head and human body with a cruel appearance. 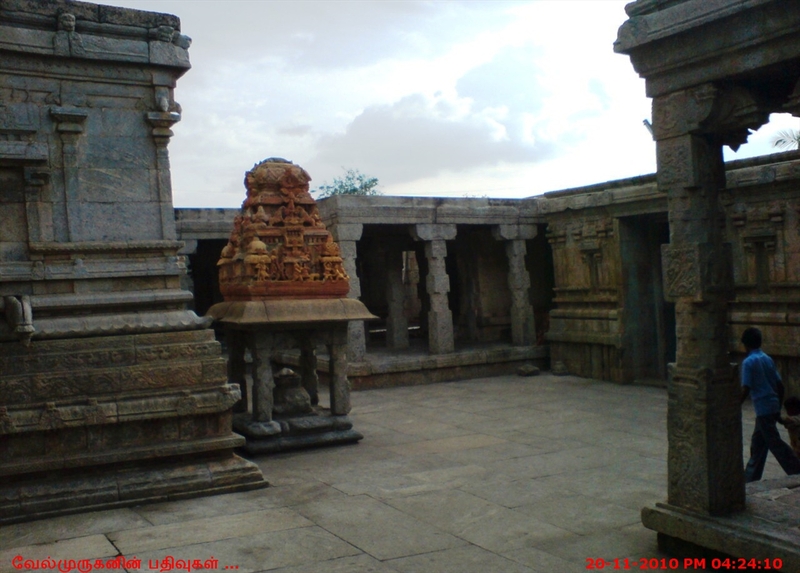 Then, the fight began between Hiranya and SRI NARASIMHA. At last Sri Narasimha dragged Hiranya towards the entrance of the palace and placed him on his thighs and torn Hiranya's chest by his nails, at the time of sunset in this way, Hiranya was killed by Sri Narasimha. In Threthayuga at the period of Ramayana Sri Hanuman saved Sri Rama and others with Sanjeevi herbs which was brought from Himalayas by him. Then Hanuman replaced it in the Himalayas. On his return through the Sky Sri Hanuman brought the Saligramam in which Sri Narasimhaswamy disappeared. In the meantime the Sun had, risen. Sri Hanuman got down to the earth to perform Santhayavanthanam because he was a great sage and bachelor. 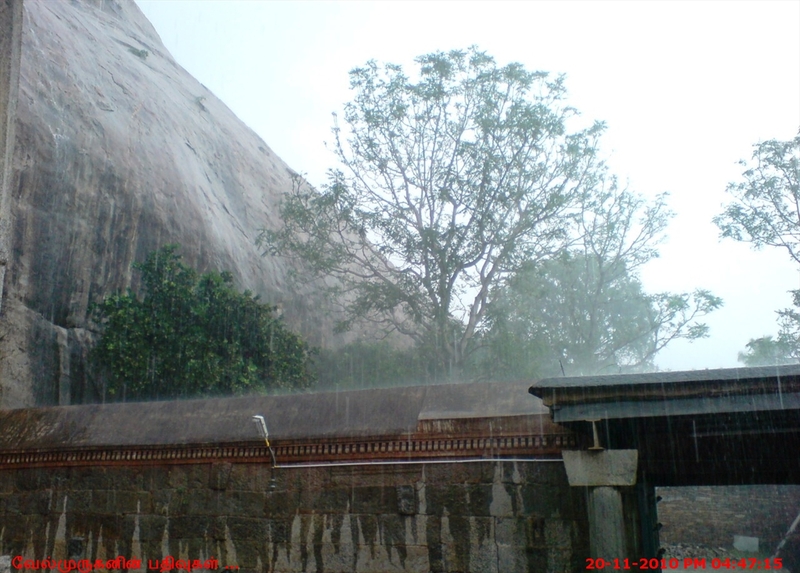 That is tha place of Sri Mahalakshmi's Tapavanam with a big holy tank named Kamalalayam where Sri Mahalakshmi was born Sri Hanuman determined to do his morning duties.Therefore he placed the Saligramam near the tank of Kamalalayam and performed Santha-Vanthanam. After he had made his duties Hanuman tried to lift the Saligramam. But he could not move it easily; which was brought by him. This confused Sri Hanuman and he worshipped the God. Then the Saligramam grew as a rock a voice rose Oh Hanuman I determined to stay here, I was brought by you. First you go to Lanka and save Sri Ramachandramurthi. If you want to worship me, you will come here after Ramavatharam and pray ever in front of me in Kaliyuga. Thus Sri Hanuman is even now at Namakkal Sthalam in the western side of the rock standing in the open air, worshipping in front of Sri NARASIMHA SWAMY . Here Sri Mahalakshmi's prayer made Sri NARASIMHA calm. Then he blessed Sri Mahalakshmi and gave her so many VARAMS. From that time, the name to Mahalakshmi was spread as SRI NAMAGIRI LAKSHMI to God Sri LAKSHMI NARASIMHA. Sri Narasimhaswamy is in the cave temple with so many beautiful sculptures. 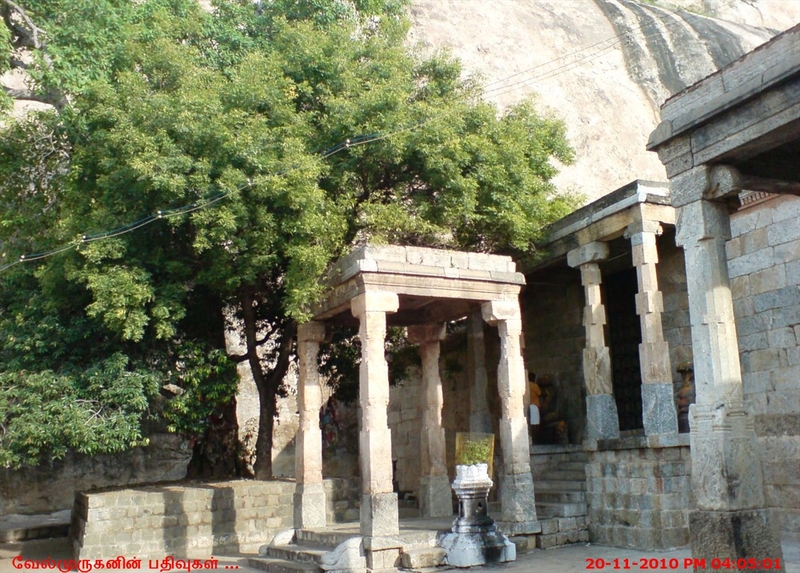 Tha SANCTUM SANCTORUM ( Gurbhagrham )and Ardhamandapam are in the cave. Sri Narasimhaswamy is sitting in chief place with the sages Sanaka, Sanandana, Soorya, Candra holding and Chamaram and in tha last Siva and Brahma are praying. 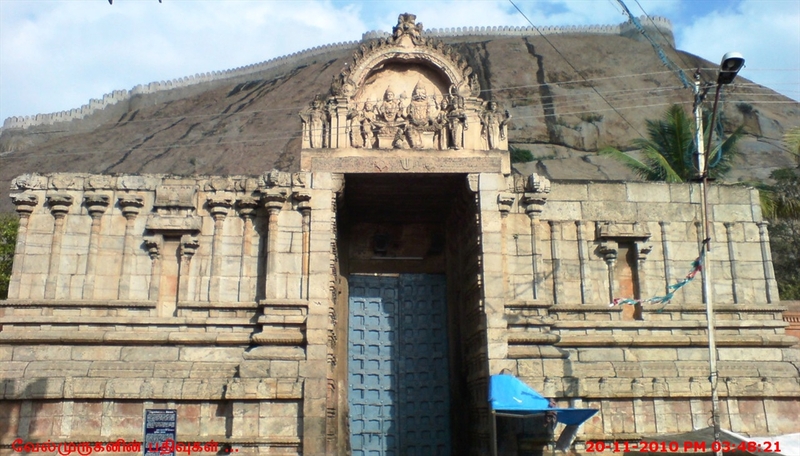 So Namakkal is called as one of the THIRUMOORTH STHALAMS. 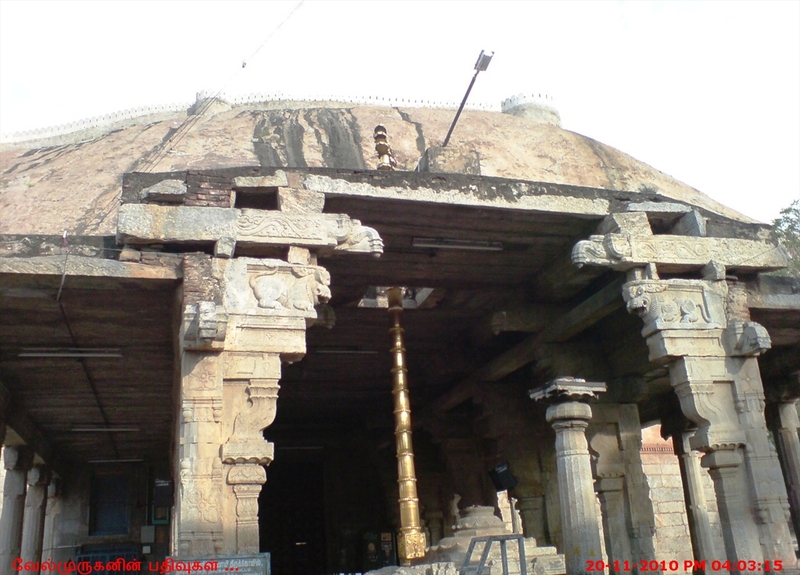 We can see in Ardhamandapam walls, very beautiful sculptures, the Mahavishnu's Avatharams! " Sri VAIKUNTA NARAYANA" with Sun, Moon, Siva Brahma, Markandeya and Boomadevi. Abhaya Narsimha is also here. In the next wall, we can see Sri Ugra Narasimha tearing the Hiranya's chest by nails. On the other side wall Sri Vaamanamoorthy is getting danam by Mahabalya Chakravarty. Sukrachari is punished by Garuda for disturbing the Danam. Jambavan is drumming in the sky. 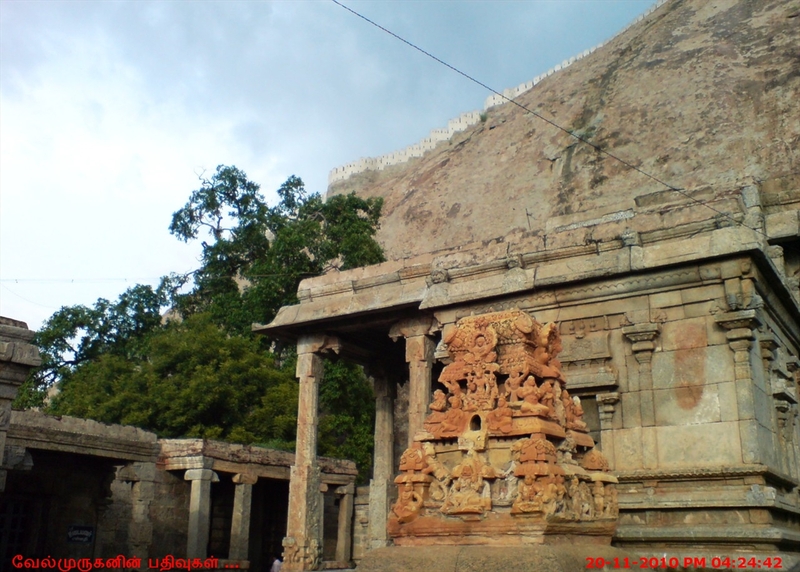 In the same wall Sri Mahavishnu as THREVIKRAMA is measuring the earth and sky. In the next wall, Sri VARAHA MOORTHY is bearing the four VEDAS all power heads on the nose, and holding Sri Bhoomadevi by two hands. On the eastern side of the rock there is also a cave temple. Here also we can see Sri RANGANATHA lying on KARKOTAKA NAGA who performed Thapas. In the same cave temple we can see SANKARA NARAYANA and on the other side VAMANAVATHARAM as is in Sri Narasimha's temple. These are protected by the Archaeological Department as the monuments maintained by the H.R. & C.E. Dept of the State Government and Poojas are performed as per VAIKANASA AGAMA. The glories of Goddess Sri Namagiri Thayar is spread in all over India up to Himalayas and Cape Comarin. The devotees who visit Namakkal first; they heartly worship Namagiri Thayar and apply their application about diseases want of child, and other wantings. In time their wants are fulfilled by Sri Namagiri Ammal's mercy.